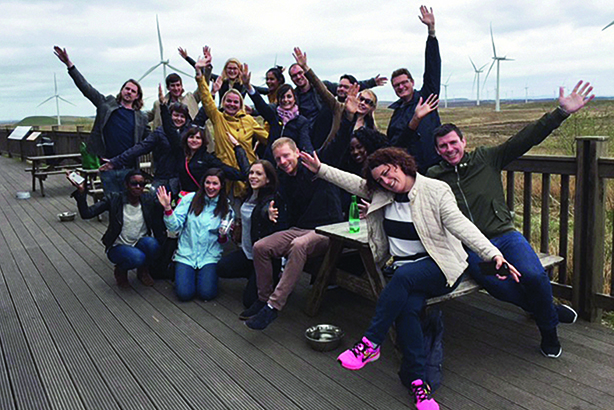 A 'dynamic and progressive culture' helped Smart Energy take the In-house Department - Gold trophy in the PRWeek Best Places to Work Awards 2017. Smart Energy GB, the energy-supplier-backed group spearheading the roll-out of smart meters, is an unusual organisation that is due to fold in 2021. Despite this, the company has proved to be a smart employer. Smart Energy’s training for its 19-strong comms team was particularly commended; it offers courses in personal presentation and delivery, along with other modules such as data visualisation, crisis management and writing for the web. In response to staff feedback, training is handled on a department-by-department basis rather than through a central policy. An internal survey found 94 per cent of staff agreed that Smart Energy offers enough training to further their abilities. This is an important consideration, of course, bearing in mind the time frame of Smart Energy’s existence. The judges felt the comms team had a dynamic and progressive culture. A 90-day induction plan for new recruits requires them to meet at least one person from every team within the organisation. New starters have at least one monthly meeting with their line manager for the first three months. In addition to 25 days’ annual leave, Smart Energy operates a sabbatical scheme, which means everyone with three years’ service gets four weeks off, fully paid.